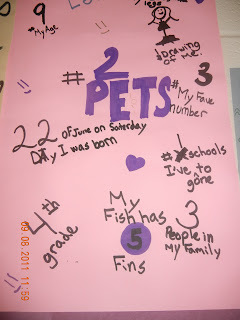 Thanks to Jennifer over at Lifelong Learning for a great back-to-school math poster project! 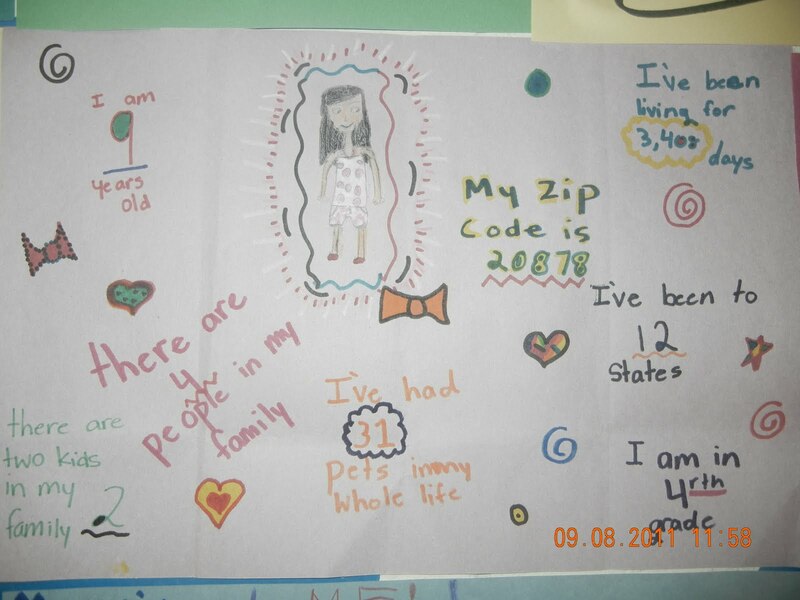 Students used numbers to share information about themselves, and they needed to include one digit, two digit, and numbers that were three or more digits. Jennifer included a rubric, which I used with my math class, so that students can sure they include all necessary information. My math students LOVED this idea, and it made a great display in the hallway for Back-to-School Night. Check out some pictures of the finished products below. 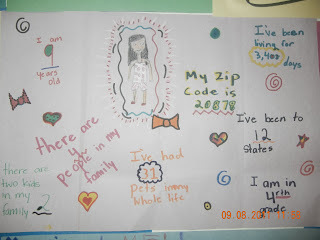 why did you share your zip code?